What happens when you ask three contemporary street artists to redesign the interior space of a Renaissance building in Italy’s eternal city of Rome? That is what the upcoming exhibition curated by art historian Jessica Stewart will show us. 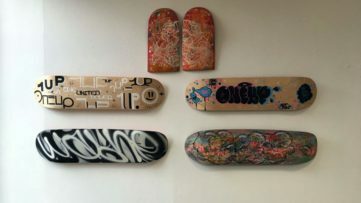 This anything-but-typical urban challenge transcends the traditional boundaries and reinvents history using modern-day tools of street art. 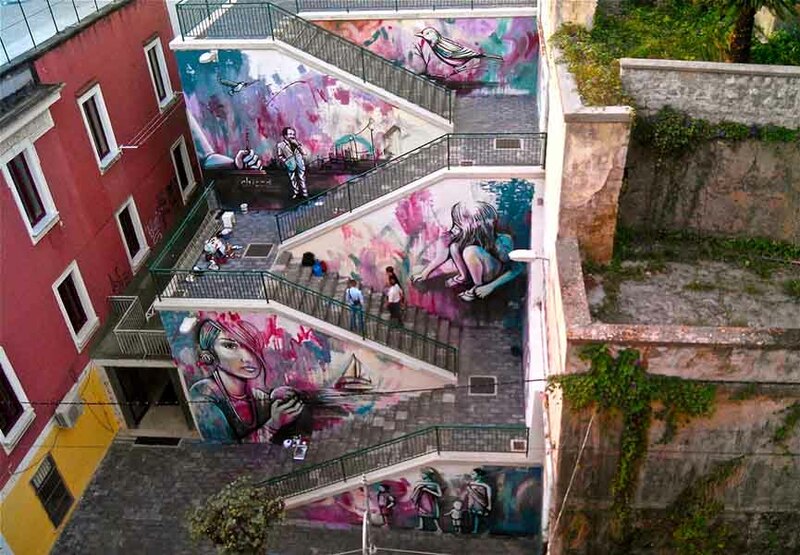 This exciting assignment has been given to three prominent female figures in the Italian street art scene. 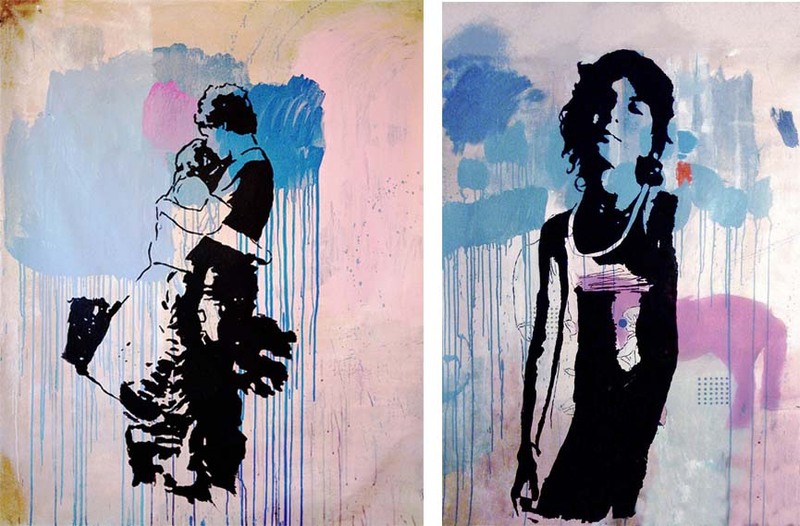 Chosen for their remarkable skills and diverse, but revolutionary style are Alice Pasquini, Pax Paloscia and Gio Pistone (who recently participated in Christmas lighting show in Rome and will exhibit as part of Parentesi Aperte cycle in Milan). Each artist has been given a room with its own functionality within a typical Renaissance home. Using the given symbolism and their own experiences, the three women will have the unique opportunity to manifest their talent within the walls of an intimate palazzo and to create public artworks inspired by the rich history of the period. The study, or studiolo in Italian, belongs to Alice Pasquini, whose task will be to address the particularities of a wunderkammer, or a Cabinet of curiosities. These rooms used to be the intellectual meeting points, featuring luxury collections of sculptures, paintings, tapestries, antiquities and books. 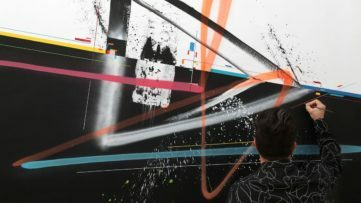 As these places are considered forerunners of today’s art collecting, Pasquini will offer her own visions of the room, using the items she gathered while painting internationally in Vietnam, New York and Melbourne. In Sala delle Nozze, the room of the newlyweds, Pax Paloscia will incorporate a style developed throughout the ten years she spent in New York before finally coming back home. Her task is to evoke the intimacy and the spirit of Renaissance found in the portraits of the occupants. And finally, Gio Pastone’s Sala dell’Astrologia, the hot spot of social happenings, represents a concepts play of power and authority. The illustrative input of this world recognized artist, together with the deepest meanings of Renaissance, depict the interactive game of power, where the winner gets to celebrate his own highbrow persona. 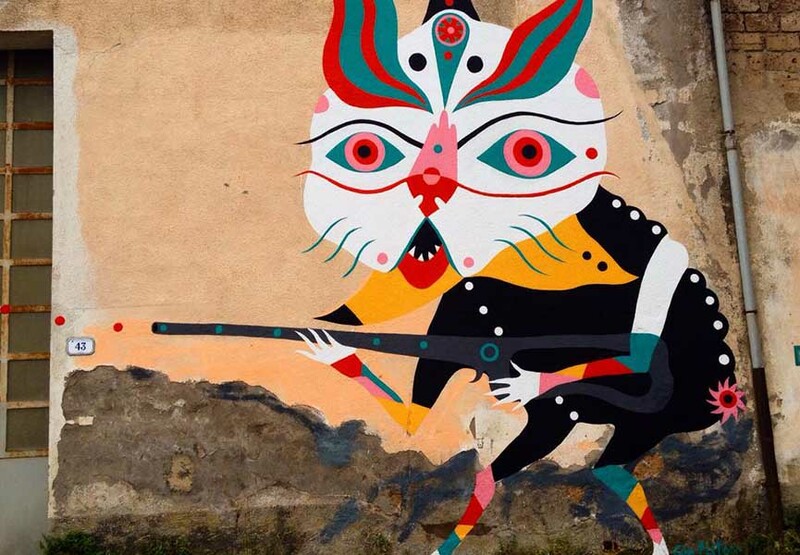 In this unusual street art show, the artists will create bridges between the past and the present, placing their usually outdoor works indoors and translating them into contextual testimony of the great artistic legacy of Rinascimento italiano. When in Rome, catch Stanze, Reinventing Renaissance Rooms exhibition at The Temple University Gallery in Villa Caproni from February 17th until March 5th 2015. 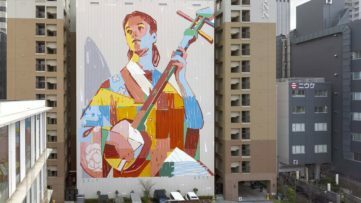 The street art is no longer the exclusive boy’s club. 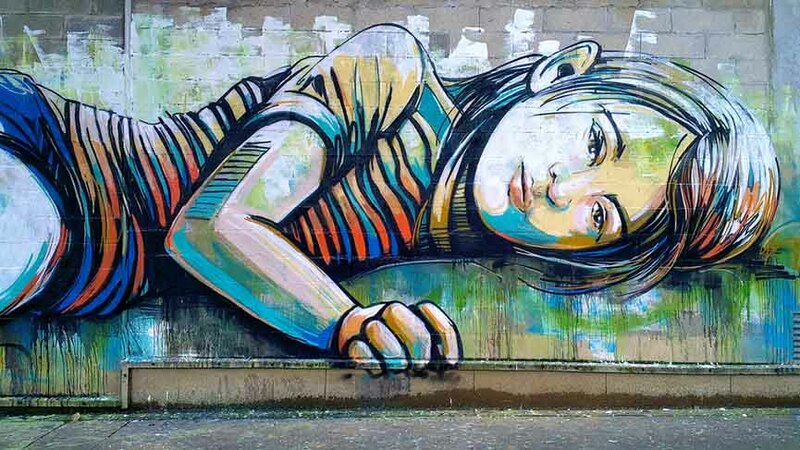 Check out our list of top 10 Female Street Artists! 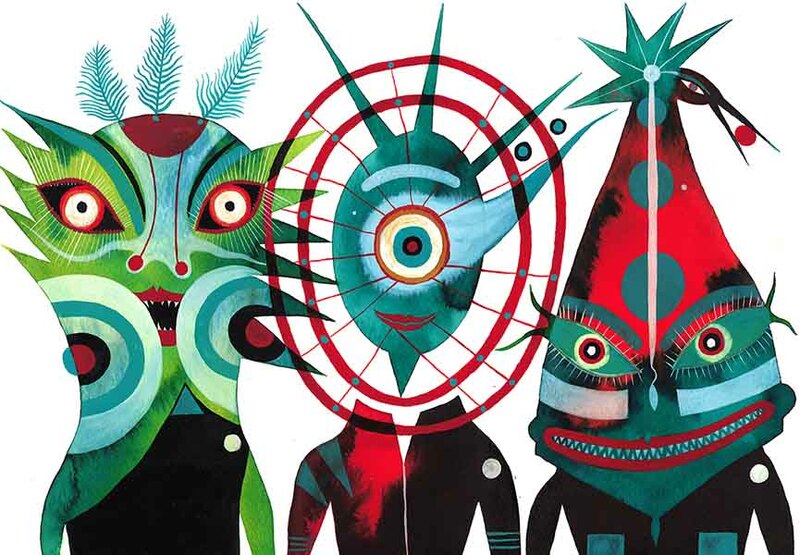 For more exciting exhibitions of street – or any – art, sign up for My Widewalls!